Vinho Verde has long been a favourite of many cork dorks and those immersed in the industry, however its beauty and style has been often overshadowed by the marketing power of major brands and major wine regions. Think of Pinot Grigio meets Sauvignon Blanc. Put another way this wine is like a mash-up of Meg Ryan and Meryl Streep. It is fresh, vibrant, sometimes bubbly, but is also serious, elegant and sophisticated. Tasting Notes Sipping: The colour is pale straw to flinty green and the nose shows spring blossoms, fresh pear and first harvest green apple. The palate is fresh and alive and filled with vibrancy that lifts the spirits. This finish is surprisingly long for such a light fresh wine with lots of fresh fruit and savoury herbs. Tasting Notes with Food: I enjoyed this on a fresh, warm spring afternoon with some light cheeses, first of season strawberries, and fresh baguette, truly outstanding! Value: For $14.99 I would happily choose this wine over many of the whites offered at $14.99. To me this is on a similar scale to classic Italian Pinot Grigio (circa $18) and New Zealand Sauvignon Blanc (circa $18.99). Added Value: This is an awesome wine for Weddings, BBQ’s (fish), as a Crowd Pleaser and certainly for Girls Night Out. This wine also has added value as a discovery or Exploration Wine. If you haven’t had Vinho Verde before, you must have this before summer is out. Service: Chill down and enjoy. I highly recommend pairing this wine with a back deck or yard and sunny spring or summer afternoon. 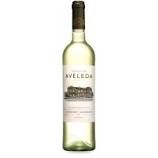 You are currently reading Aveleda 2013 Vinho Verde at Dorkuncorked's Blog.